Keep the ground underneath your property where it belongs with URETEK Missouri’s powerful soil stabilization solutions. We provide effective, low-cost, and safe repair techniques for stabilizing underground soils. 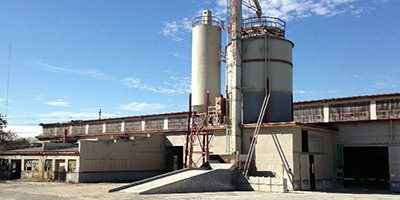 These solutions are ideal for public and private structural assets with settlement problems that are the result of unstable soil conditions, as they are ideally suited to void fill, seal, lift, or stabilize the soils below various foundation types. 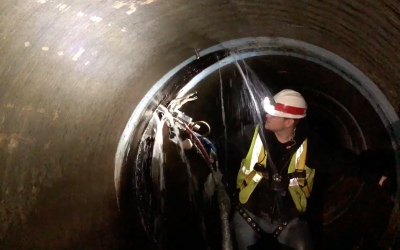 With URETEK’s industry leading expanding polyurethane grouting injection solutions, The URETEK Method® and The Deep Injection® Process, we are able to bring trusted, long lasting repair solutions to the state of Missouri. 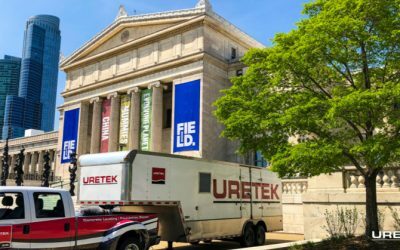 With multiple polymer formulas available to best suit each soil type, URETEK is able to meet the needs of any project, large or small. DO YOU HAVE WEAK OR UNSTABLE SOIL PROBLEMS? Since the early days of modern civilization, road builders and building construction contractors have understood the relationship between a stable ground and the roads and structures that lie on that ground. When weather conditions produce rain, snow, or severe temperature shifts, deep underground expanses such as voids, fissures, and water pockets can be created that in turn, destabilize road surfaces, highways and building foundations. The result – cracks, settlement, sinkholes, and more that can wreak havoc on private and public assets such as roadways, sewers, and private buildings and structures. Even though contractors can seal the cracks, lay down new concrete or asphalt, or rebuild the damaged structure, it only masks the underlying problem, requiring that a similar round of maintenance is needed again after the next season of severe weather. The key to having quality building structures that last longer and require less frequent maintenance is having a stable underlying soil foundation on which these materials and components lie. The materials that are used to stabilize underground soils play an important role in offsetting problems on a permanent basis. The most effective materials that stabilize an underground soil base must not only fill expanses, but more importantly, must also drive out and seal them from the entry of water into subsurface soil pockets. Many municipalities and commercial businesses are now re- examining the role that having a stable underground base plays on the maintenance of their public and private structures, and, are placing a greater emphasis on preventative measures designed to strengthen these underground soil strata. By increasing the density of compromised subsurface soils as part of project maintenance, repairs are longer lasting and the asset is better protected. Improve the ground you built on. Bring stability back to weak soil conditions.